The city of Oshkosh is looking to make some changes to its beekeeping and chicken keeping ordinances in response to residents’ increased interest in both hobby areas. Currently there are 11 local residents who hold a chicken license and four local residents who hold a beekeeping license. 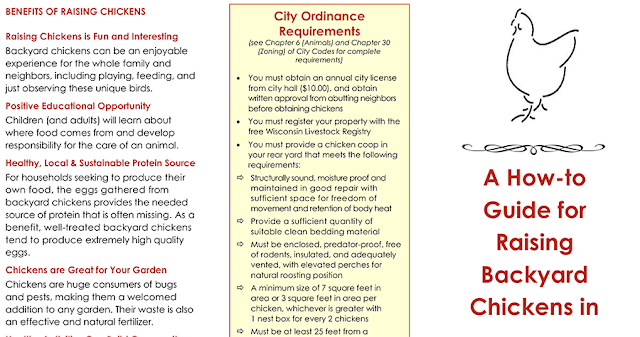 The new changes include reorganizing the chicken keeping ordinances to make them clearer residents as well as changing consent requirement to requiring notification of adjacent property owners. Changes to the beekeeping ordinance include changing a graphic of the required flyaway barrier and a change to the text in the ordinance in addition to the new graphic ensuring they both match each other. Steven Wiley, an assistant planner for the city, said the committee has had more citizens approach them requesting approval for licenses of bees and chickens. Wiley said there are no proposed changes for penalties in the municipal code and are working to create the changes to bring to the common council.